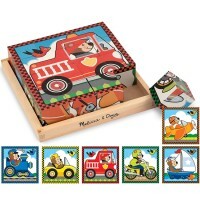 Learn more about the different kinds of vehicles you may encounter on the construction site with this colorful and engaging puzzle by Hape. 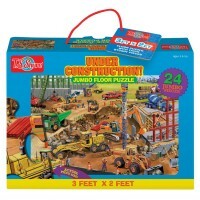 Do you want to be a builder? 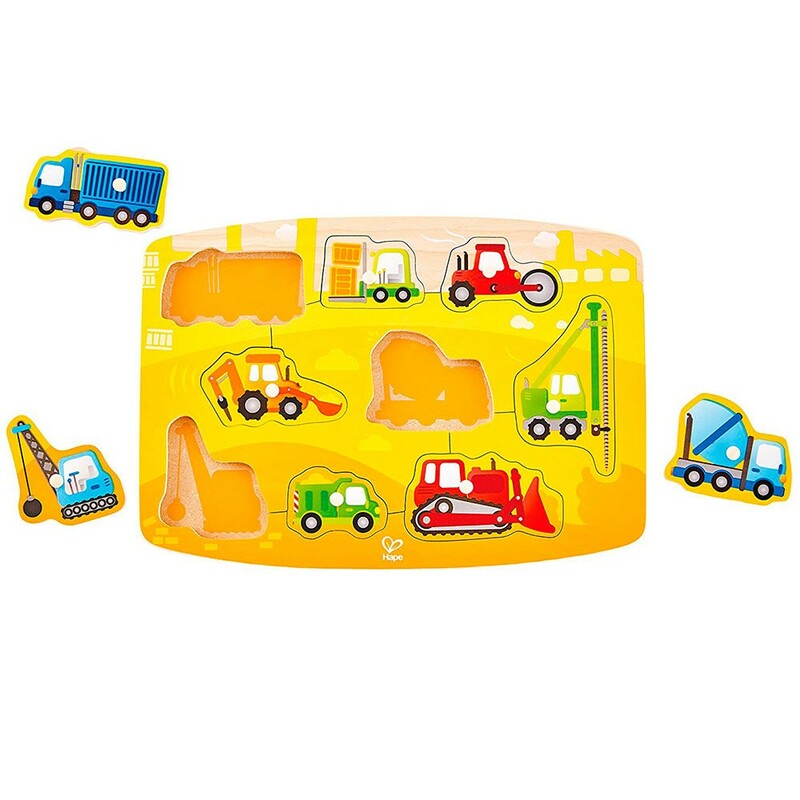 Learn more about the different kinds of vehicles you may encounter on the construction site with this colorful and engaging puzzle by Hape. 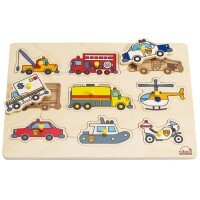 Find the right place on the wooden puzzle board for each of the 9 well-illustrated helpful vehicles. 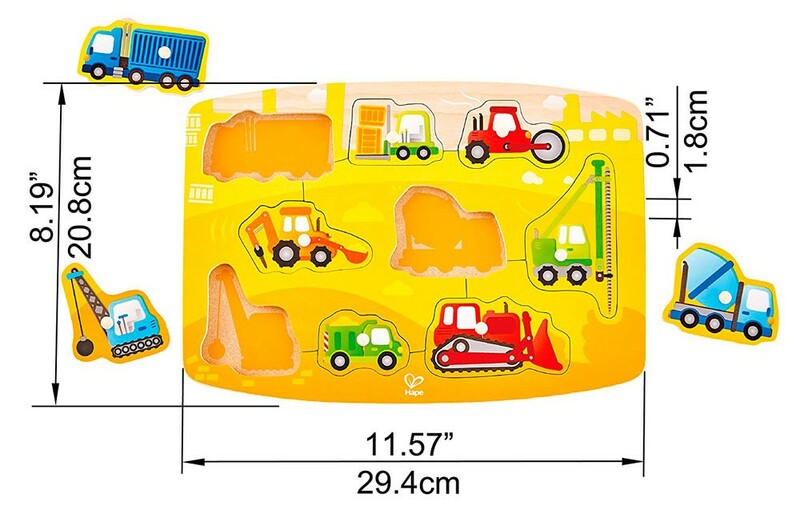 Each puzzle piece has the prompt picture underneath to assist the kids in finding the correct place for the construction vehicles. 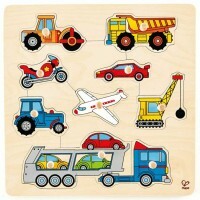 Construction Vehicles 9 pc Peg Puzzle includes 9 bright color building machines that kids will love to play with. 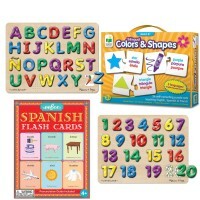 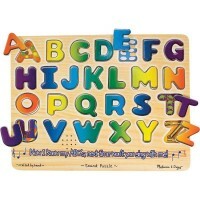 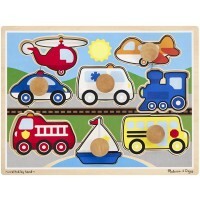 Complete this Educational Toys Planet's first puzzle with pegs! 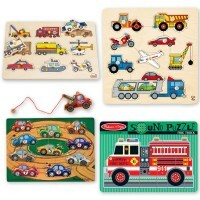 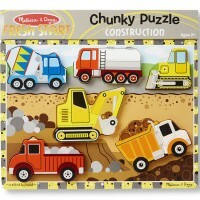 Write your own review of Construction Vehicles 9 pc Peg Puzzle.